can’t figure this out. Could it be shaping ? Paper thin crust in one spot with a crater under? Thanks!! 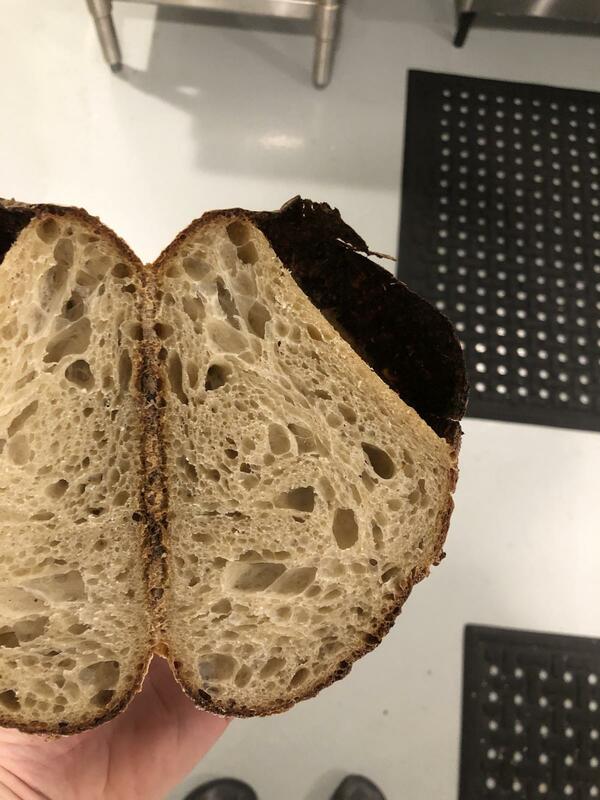 Could it be an air bubble that was not removed during degassing and loaf formation?